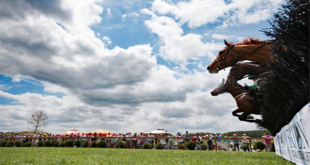 Tryon Resort is pleased to announce its upcoming partnership with Dover Saddlery. 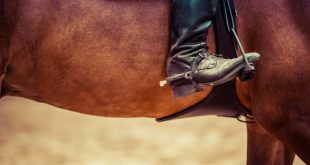 With retail stores across the country and a vast online presence, the renowned English equestrian retailer is replacing Tryon Tack as the Resort’s official retail destination. The new Dover Saddlery location at Tryon Resort will join Dover’s collection of 32 retail locations nationwide. 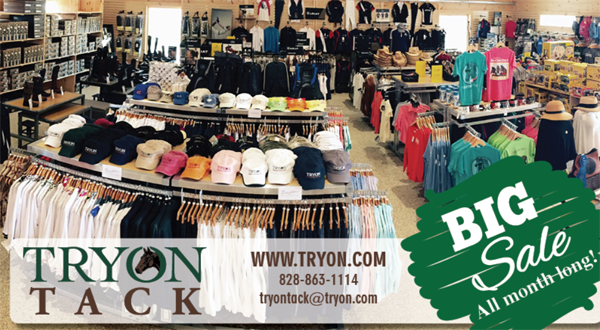 In anticipation of this exciting partnership, Tryon Resort is planning a huge “Summer Sale” beginning Saturday, August 26, 2017 at Tryon Tack 1 and 2. The sale will continue through early September while supplies last and all merchandise will be 40 percent off, excluding logo, Breyer®, or USEA American Eventing Championship merchandise. Mark Bellissimo, managing partner of Tryon Equestrian Partners whose properties include Tryon Resort and Tryon International Equestrian Center, is pleased to introduce Dover Saddlery as the official retail brand of Tryon Resort. “We are proud to welcome Dover Saddlery as our official retail partner at Tryon Resort and Tryon International Equestrian Center. 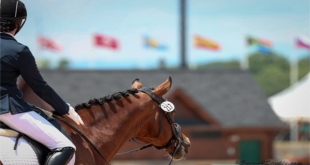 Whether you are competing at the Olympic level or taking riding lessons, our goal is to meet every equestrian enthusiast wherever they are in their journey, and Dover Saddlery shares that purpose,” said Bellissimo. To learn more about Tryon International Equestrian Center, please visit www.tryon.com and for more information on Dover Saddlery, please visit www.doversaddlery.com.